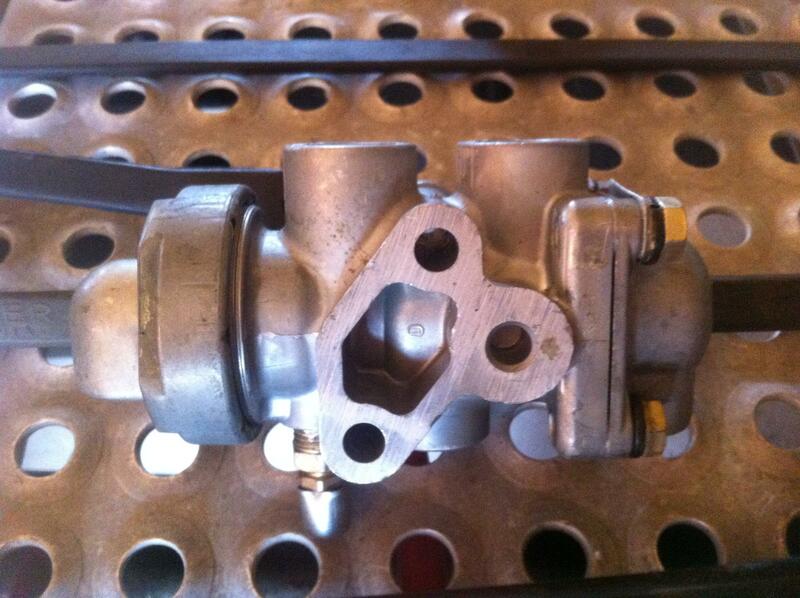 The tractor protection valve is the valve that would supply air to the trailer system/ release trailer brakes." 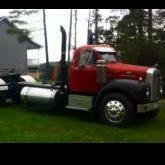 Red knob" It protects the tractors air supply if the trailer line is broken and lets to much sir escape. Causes red knob to pop out. Sounds like someone added the push style knobs and left the flipper valves in place. Normal would send air through the red airline to the trailer and flip to emergency would shut the air off going to the trailer. Your 100% correct, I misspoke cause I was not paying attention . 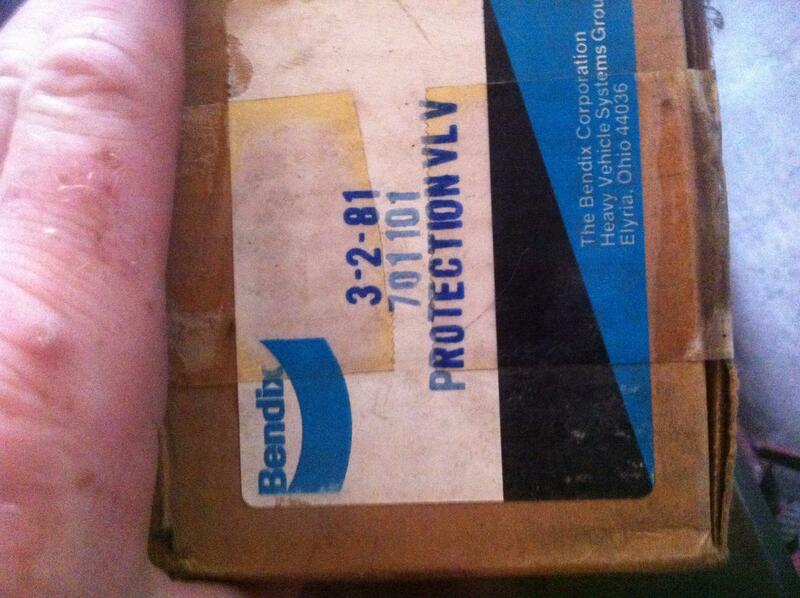 Bendix has a nice manual you can download and it goes over brake systems. I have it saved at home, I was googling trying to find the link again online. Click on link and save it to your computer. It covers everything about air brakes. The tractor protection valve(tpv) is only for trailer lines. If you are keeping your truck as a straight truck and not running air to the back for a tagalong trailer you won't even use this system. The flipper valve and the red button are just controls to activate the tpv. The red knob should have a safety in it to automatically pop out and shut off the air flow when the pressure in the truck drops below a set psi. The flipper valve dosnt have that. The tpv is usually mounted Behind the cab and is what the red and blue trailer lines are hooked to. This tpv is what I used on my mack and has a built in safety (like the red knob) so the flipper valve would still be fine to use with it. 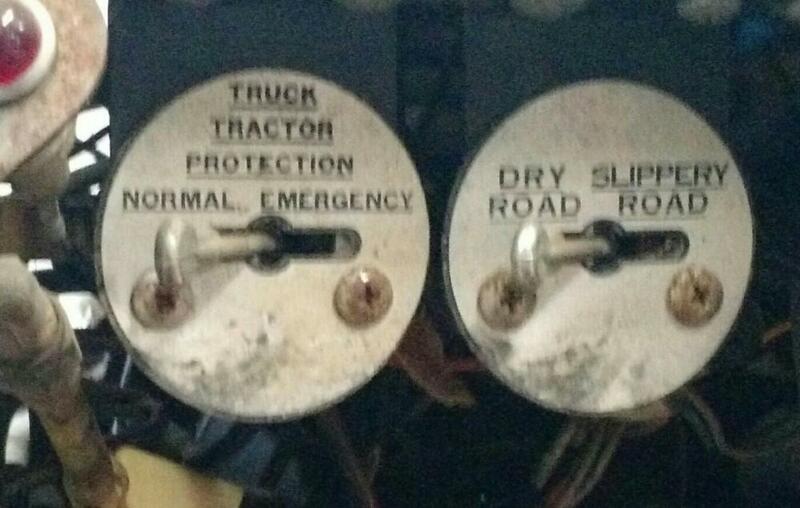 The air system is pretty simple in these old trucks. If you can find a nice simple diagram to look at its not bad as long as you don't over think it. (My issue). I missed your one post until after I posted this. Personally I'd take everything out, figure if you want to keep trailer brake options, what style controls you want to use (either flipper or button), then start from scratch. Myself I think the air system was easier to figure out then the wiring was. When I stripped the old out of my truck some stuff still acted as it was hooked up but after following lines eventually they would just end with a plug. I think I confused myself after reading this so hopefully you can decipher what I meant to say. Find yourself a version of this that makes sense to you, and keep it handy. I had 3 different versions on my phone I kept looking back at while doing mine. Have you made any more progress on your International project? It’s been a great project to follow. I apologize for not responding, there really hasn’t been any progress until this week when I dragged the frame out from where it has been to start going through the rears. That process is not going well, I will need some advice or suggestions. Over the winter I got the wiring installed in the cab, the dash is done. All the airlines in the cab are done, and the seats and steering column are in. It’s amazing, literally nothing in either of the two trucks worked, turn signals brake light, wipers, washers, gauges. With little effort and expense all of it is now functional. Back to the rears, I have the Eaton rears from the 1964 F-230 parts truck currently under the truck they are in one piece, but leak from everywhere and in my estimation are pretty well used up. There was some suspension work done to them in the last 4 or 5 years but there is likely more needed. Also they are 7.74 ratio I believe. The only positive in all this is that there are 8 fresh 11.00r24.00 caps and I have the 2 new steers as well. 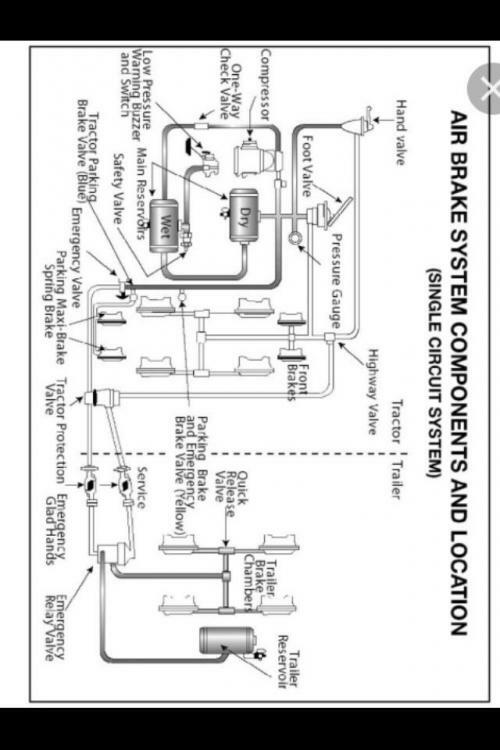 Where I switched the engine to the NHCT-270, I also changed the main trans to the spicer 8552-a that was behind it in the grey truck and the 8341c aux as well, so I believe that leaves me with a direct main and a .83 OD in the auxiliary. With the big tires, OD, and 7.74s it looks like my road speed would be 45, not cool. I’ve been looking for a semi modern replacement cutoff, but I’d like to find something that would work with the larger Dayton hubs so I can use the tires I have. I was thinking of trying to find something with a 4:56-ish ratio. I would probably look for a used rear set up to get a better ratio and newer style brakes and stay with spokes. Lots of spokes still in Maine in the logging trade and when they wreck them, the trucks go to yards such as White and Bradstreet. Worth a phone to see what is out there. A new plan is hatched! Update with progress when you can.